An underground classic, now available as an ebook! This amazingly insightful book, written by a newspaper reporter, contains full details of gambling devices and methods used by professionals to beat and cheat casinos and other players. Also described and illustrated are rigged carnival and gambling games, card gambling games, marked cards, holdouts, and much, much more. Not content to describe methods that others may also have exposed, Meyer went the extra step to purchase the rights to gambling systems that sold for as much as $25 each. These are also detailed, in their various author's own words, along with Meyer's added commentary. These systems include: Little Jim Forrester's $25 Secret for Winning with Fair Dice, as well as other systems, cheats and scams including lotteries, stock market swindles, bucket shops, gambler's secret codes, horse racing, sleight of hand with cards and coins, and more. Well illustrated, with over 200 drawings and photos. 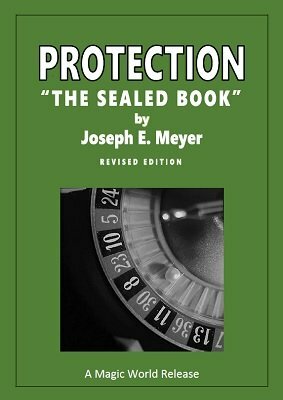 The author intended this book to be a form of protection (knowledge) for the gambler, not as an instruction guide on how to cheat. It is being offered to magicians and gaming enthusiasts in the same spirit. This book, along with the K. C. Card Co. Catalog, will form the cornerstone of an excellent working library for anyone interested in scams, swindles or gambling. Edited by B. W. McCarron, author of The Gambling Magician . You will also be able to download a digital facsimile version of the original book the way it was published in 1911. Check your digital shelf for the download link. 1st edition 1908, PDF based on 9th edition from 1911, 174 pages.